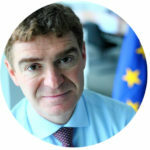 Mario Nava is currently Director of the ‘Financial system surveillance and crisis management’ directorate in the Financial Stability, Financial Services and Capital Markets Union DG of the European Commission. Previously, he was Director of the ‘Regulation and prudential supervision of financial institutions’ directorate and Head of the ‘Banking and Financial Conglomerates’ unit and of the Financial Market Infrastructure Unit. Mario Nava held numerous other responsibilities in the European Commission since he joined it in 1994. He obtained a first degree from the Bocconi University, an MA from the Université Catholique de Louvain and a Ph.D. from the London School of Economics.